The Queen of Great Britain, which celebrated its 92nd anniversary this year, is considered the longest ruling monarch in the history of mankind. Her life expectancy is called the main secret of this century, as a woman, who every day faces many unresolved problems, as well as nervous upheavals and emotions for her country, has such strong health and good mood every day. This surprises at least all specialists, and puzzles those who are trying to weave intrigues around the name of this remarkable person. The fact is that the period of her rule in England is usually called the best and most successful for the development of the whole country, in comparison with all other monarchs. So, what does Queen Elizabeth II use? to always feel good and be healthy. Breakfast. Immediately after awakening, Elizabeth II drinks tea with biscuits. Tea should be surely Earl Gray, while not containing milk and sugar. Then for breakfast she prefers to eat oat flakes with fruit, or toast with natural jam, or fried eggs with truffles and smoked salmon. It is also worth noting that the queen prefers exclusively brown eggs, as she finds them more delicious. The personal chef of the Queen strictly monitors the quality of the products and daily prepares only the freshest and tasty breakfasts. Dinner. The time of dinner begins with the queen always with an aperitif. As a liquor act gin or dyubonne – a French drink based on fortified wine. Dishes for dinner the queen has got used to choose simple enough not to load the organism with a variety of the used products. Its main rule in life, not eating pasta, potatoes and rice, which can negatively affect the entire body. Therefore, she likes fish with vegetables, grilled beef with zucchini and spinach, and chicken with salad. Quite exquisitely, both for the royal table and at the same time very satisfying. It is worthwhile to take an example from the Queen of Great Britain in that it is necessary to choose as a dinner. Snack. This meal becomes the most delicious for the queen, since he can afford tea with mini-toasts that will be covered with raspberry jam or “tea rolls”, but this is in extreme cases.And for daily consumption during a snack, the queen chooses canapés of smoked salmon, eggs and fresh sauce, and canapes with ham and mustard. In the most rare cases, Elizabeth II allows herself to eat a small piece of chocolate cake with fruit. Dinner. In what is worth paying special attention, so it’s for the supper of the queen, which is considered to be the richest and most satisfying for the whole day. Elizabeth II likes fillet of beef, venison, salmon or pheasant for dinner. A very important condition is the fact that these animals are grown on farms in Balmoral and Sandringham. This allows the king to be confident in the exceptional quality of the products and calmly indulge in the enjoyment of cooked dishes. Meat should be served together with cream, mushroom and whiskey sauce. But in rare cases, the queen wants to taste roast and game for dinner, which she considers her favorite dish, charging her positive mood for the next day. 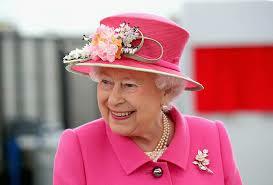 The Queen of the UK never allows herself too much flour or sweet, since she believes that a woman at any age should look slim and beautiful. As a dessert, the queen likes to take fruits and a little chocolate, the big fan of which she is. After all, if it had not been for the royal debt to always be perfect, Elizabeth II admits, she would eat a single chocolate all day. And, perhaps, the most unexpected fact of the diet of the queen is that she likes to take a small portion of alcohol before a dream. Most often it’s champagne, and only sometimes something stronger, but not the wine that Queen Elizabeth II does not recognize. Given all the subtleties of this woman’s nutrition, one can hope that she will live a very long and happy life, rejoicing in the appearance of great-grandchildren and their growing up.